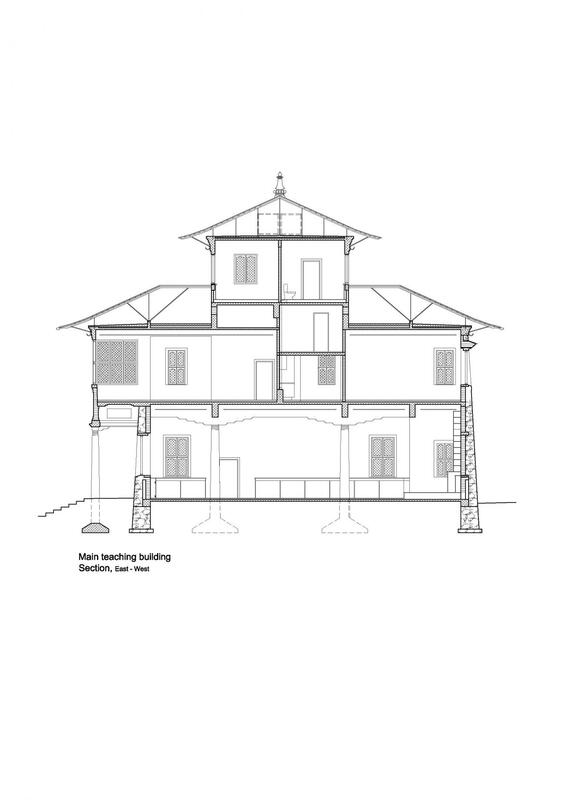 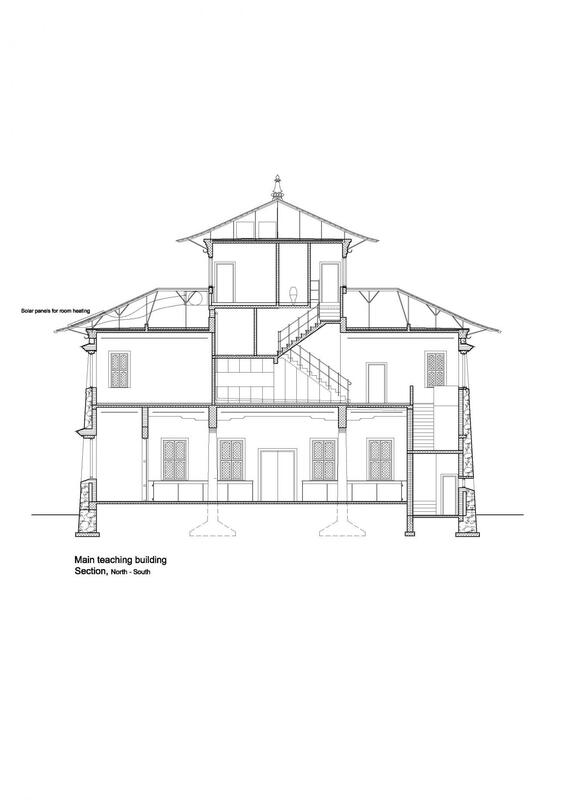 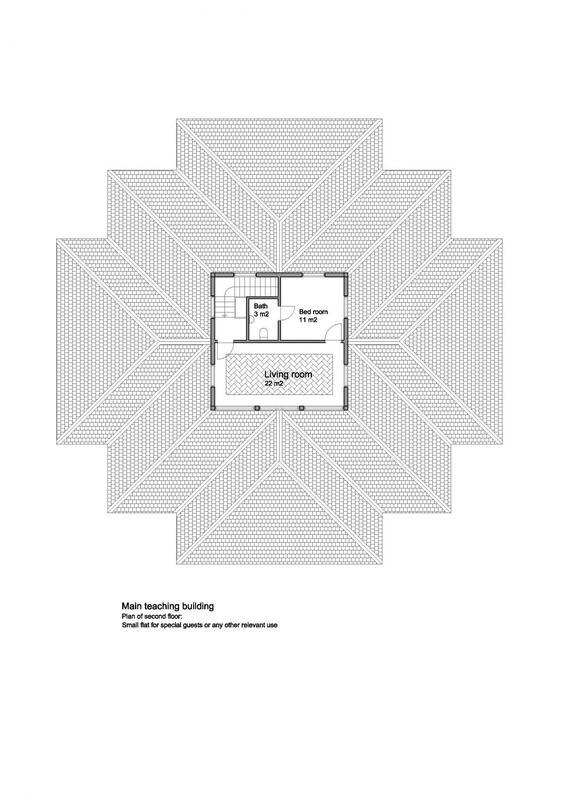 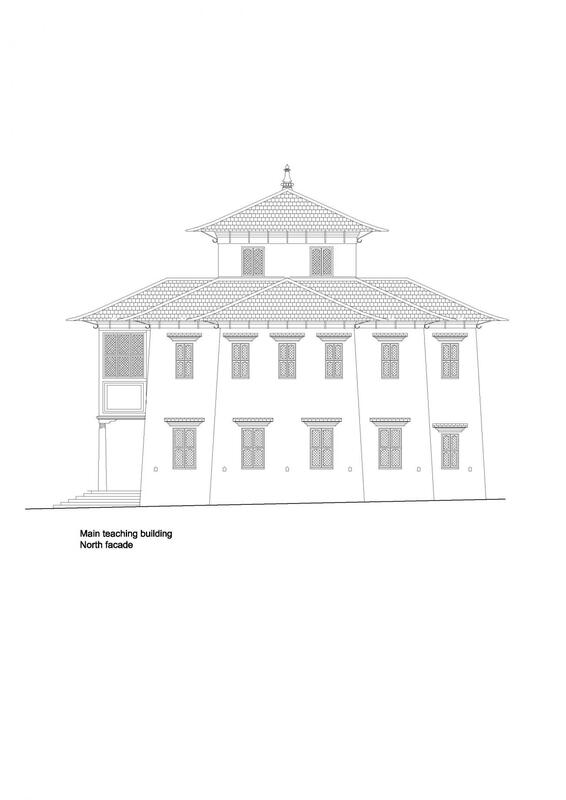 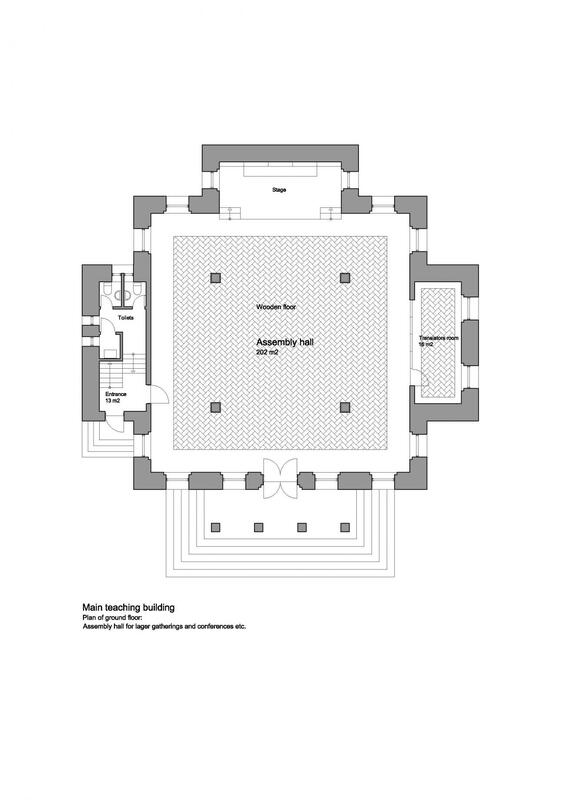 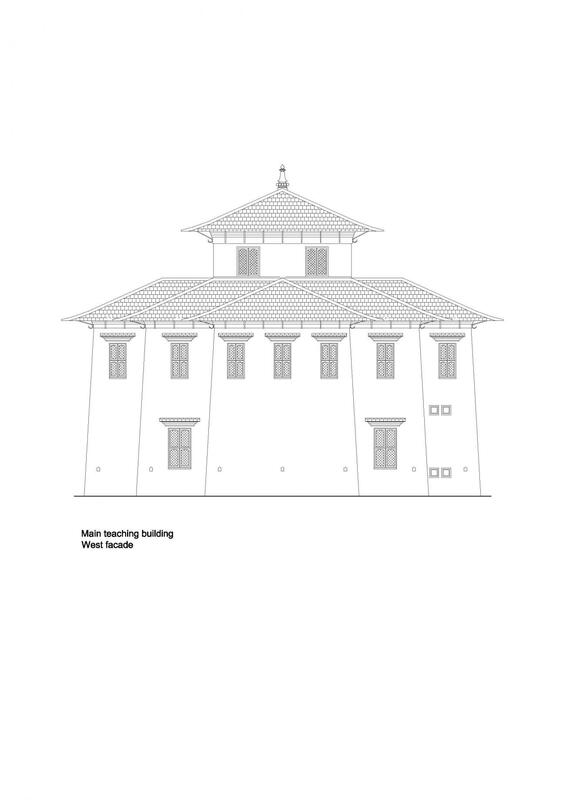 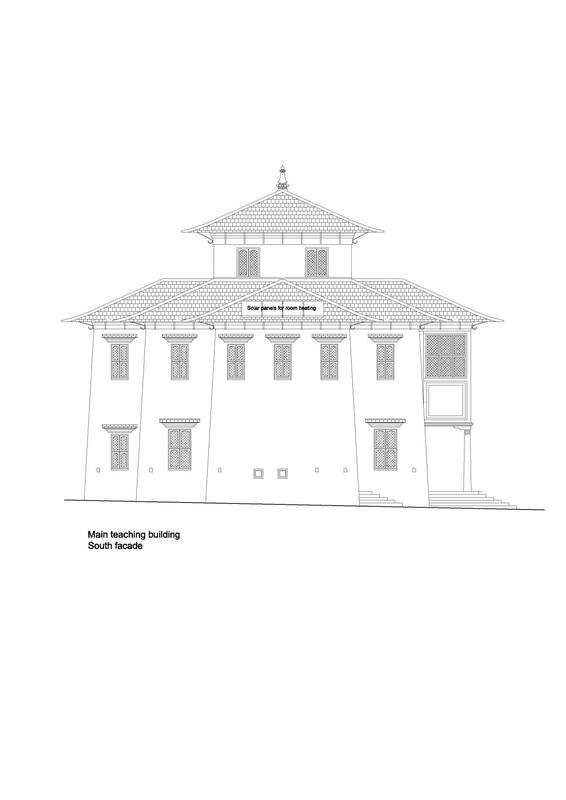 The main building is a 665 m2, 3 storied building with a 200 m2 assembly- and teaching hall on the ground floor. 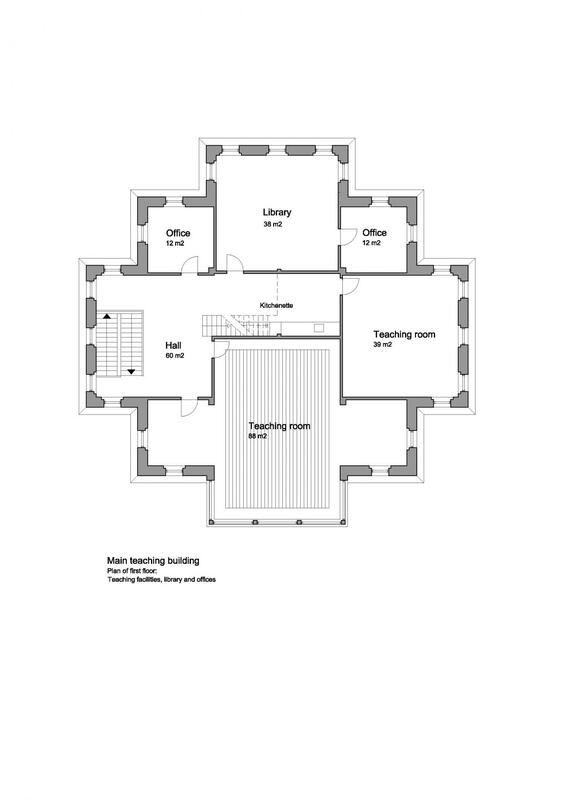 On the first floor you will find separate teaching rooms, a library and offices. 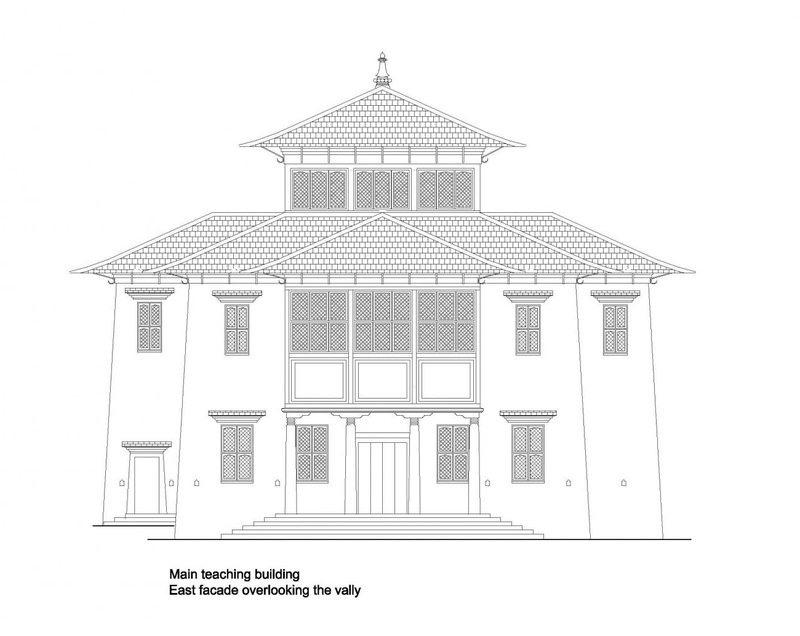 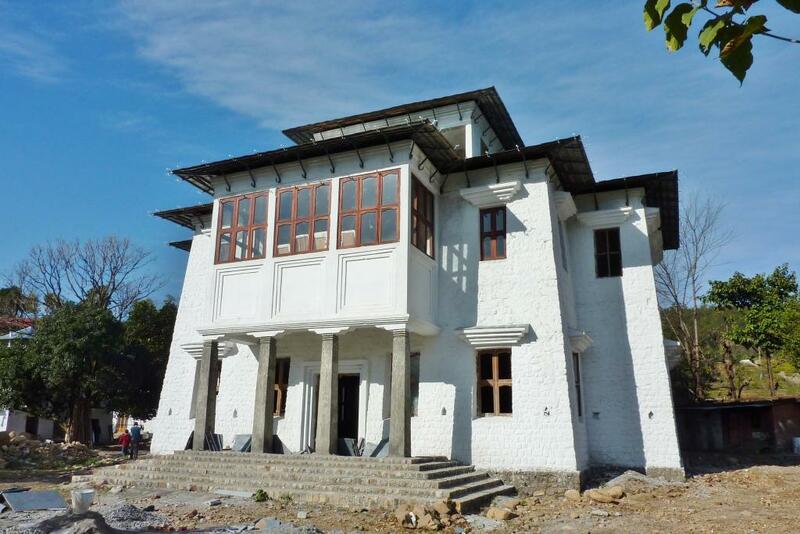 At the second floor there will be a small flat normally used as a room for meditation and contemplation.